Add SCT SF4/X4 Windshield Mount? 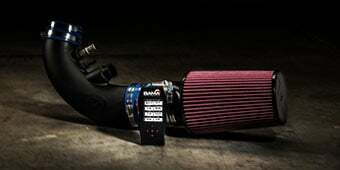 Please select options for Airaid Race Cold Air Intake & Bama X4 Tuner (11-14 GT) at the top of this page. Improves Airflow for More Power. An Airaid Cold Air Intake completely replaces the restrictive factory air box and inlet tube allowing for a measured increase in airflow for more horsepower, improved torque, and better fuel economy, all while filtering out harmful power robbing particles. Power. Performance. Personalized. The SCT Power Flash Tuner features Bama Performance custom tunes that are written specifically for your Mustang. Our tunes are based on a 19 point questionnaire to deliver the most power and performance possible for your Mustang’s modifications. All Bama Performance tunes are tested and proven on our very own in-house Dynojet 224xLC Chassis Dyno. More Power. Now you can add even more power to your 2011-2014 5.0L GT Mustang with an Airaid Cold Air Intake and SCT SF3 Combo pack from AmericanMuscle that includes Free Custom Bama Tunes for Life! Improved Airflow. 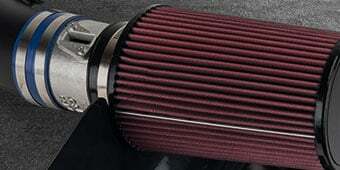 Enjoy the legendary performance advantage of Airaid's cold air intakes. 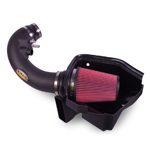 Their industry leading design replaces your 2011-2014 5.0 V8 Mustang's restrictive factory air box and paper filter element with a high flow intake tube and rechargeable filter for a noticeable increase in horsepower, torque and acceleration. Power you can Tune. The SCT SF4/X4 handheld tuner will allow you to re-tune your Mustangs computer for more power and better drivability. We even included free custom Bama tunes to take full advantage of your new Airaid Cold Air Intake! Free tunes for life! Every customer that purchases a tuner is enrolled in the "Free tunes for life" program. Any time that you make additional mods to your vehicle, our team of SCT certified Bama Custom Tuners will create new tunes for you. Easy to load; easy to restore. Not only are the custom tunes easy to load on your vehicle, it is just as easy to restore your factory settings. When you load your custom tune on the vehicle, the tuner automatically stores your vehicle's factory settings. To return the vehicle to its factory settings, just plug the tuner back in, select the option to restore the factory settings, and you're done. 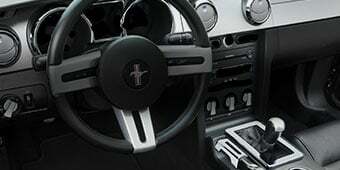 Click for Instructions on Loading Custom Tunes to your Mustang. The Bama X4/SF4 Power Flash Tuner w/ 2 Custom Tunes does have the option to do the ghost cam tune yes. 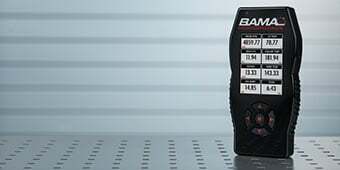 Can this tuner be used to recalibrate the speedometer for changes in tire size and gearing? Hello! The Bama X4/SF4 Power Flash Tuner will calibrate your speedometer for gearing and tire size changes. Does this allow one to alter the electronically controlled speed limiter? Yes, we do make changes within the tune to raise the speed limiter. If I am understanding your question correctly, yes you can adjust or govern the speeds your car can achieve by using this device. Great way for parents to insure their child isn't doing 140 in the family pony. Just installed the JLT CAI on the weekend and loaded the Performance tune. I really like it so far but have a question about the Race tune before I install it. The traction control on the Mustang has saved me a couple of times, especially in the wet - does the Race tune turn off the "electronic nanny"? I actually am glad I have the nanny for day to day driving and don't want it disabled. Your traction control system will still be enabled on the Race tune. 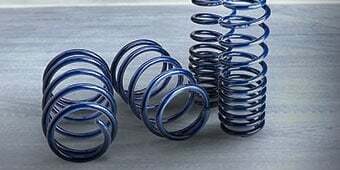 We have modified the torque calculation and clutch protection logic as well as a few other changes specific to the race tune to unchain the performance of the car with racing/competition in mind. I would recommend giving it a try and then running the tune you prefer - either your Performance or Race tune. Is this tuner able to turn off the 02 sensors, I am getting long tube headers and off road x pipe, thanks for your help. With any of the tuners we are able to turn off the CEL for deleting the cats but this can cause issues with getting through your emissions testing. Yes, when you place your order, one of the questions asked is if your car has cats/Off-road exhaust. You can also clear them manually by using the code reader on the tuner itself. SCT has since updated these tuners to be completely wireless! So as long as you have access to Wifi, you wouldn't need access to a PC at all! You can do all updating, uploading, and downloading through the device itself. If you do not have access to Wifi, a PC would be required. This Airaid Race CAI requires a tune when installing while the standard Airaid CAI has the Modular Venturi Tube inserted and does not require a tune upon install. However, you can always remove the Venturi tube and then tune the intake for optimum performance. Hope this helps to answer your question! The Race CAI REQUIRES a tune because it doesn't have the additional reducer tube included. The reducer tube come with the regular one, and allows you to run the CAI without gettting a tune. I believe the only difference is the non-race CAI comes with a baffle in the air tube that allows installation without a tune. The baffle is removable if you decide latter to allow more air to enter your engine and get the tune required for this change. 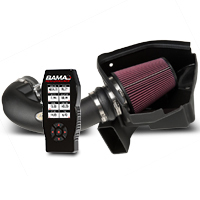 You can definitely use the Bama X4/SF4 Power Flash Tuner with your 2013 BOSS 302 with the TracKey! BAMA can generate tunes for your application without changing any setting with your TracKey including the loopy idle. If you decide to go with a tuner, custom tunes can be generated but you would have to use your regular key when utilizing the tune. If you'd like to use the Red TracKey, you would need to flash your computer back to factory settings and then use the TracKey to be able to use that function. There are no specific items but we would suggest performance parts like a Cold Air Intake or an exhaust to boost your performance. Hello! This Cold Air Intake will fit with a Throttle Body Spacer installed! Bama can tune for up to a 100 shot of nitrous. They also offer tunes for different octane ratings. The tune will still be in the car and it will keep the changes as far as performance gains to the engine go. However if you have an automatic transmission, and you switch it from the normal drive mode to sport mode, the other modes will keep their tine but it will revert to the transmission settings of the specific mode you are in. So if you are in sport mode, it will have the shift points from that specific mode and not our transmission settings. Bama will be able to tune for the Boss 302 intake manifold when used on the 2014 GT/CS Mustangs. SCT claims that this tuner is not detectable by the dealerships as it doesn't leave a footprint. We do recommend setting the vehicle back to stock before taking it in for any service work though. So UPS lost the 1st one that was shipped to me. After notifying American Muscle of the issue with the tracking number not showing any information, they immediately sent another one out. Pretty awesome service so far. After receiving the tuner, I went online and submitted for the 1st tune. I was sent 3 tunes within 2 days of opening the request. Currently running 91 ghost cam Awesome service, awesome support, quick and efficient. Wee this makes the stallion buck! Never had so much fun after a mod on any Mustang I’ve ever owned. This thing is da bomb, don’t waste your money anywhere else. AM is totally the best. Yea i like it. Gave my mustang a different sound..
Tuner is easy to update and load with custom tunes. Car is running really good with 93r tune. Idles Great now and runs really good all the way through the rpms. Would recommend this tool! Great mod really wakes up the car. 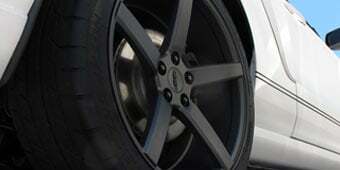 Car feels fast and responsive and they will keep helping you every time you and something new. So why not! Was easy to install and with tune felt the difference on first drive. Can’t wait to see the results at the track. Awesome!!! MUST GET THIS FOR YOUR MUSTANG! Once I figured out that I had to download the tunes from an email everything was smooth sailing. I got the 87 Performance tune and the 91 Race tune. Haven't had a chance to try the Race tune yet, but the Performance tune kicks a**. 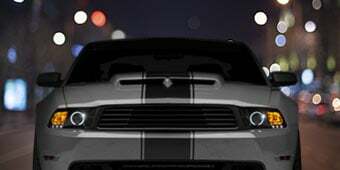 Throttle response is quicker, acceleration is much quicker, and modified shift points allow the car to rev out a lot longer which results in a faster car with less throttle. I received this as part of my Christmas gift, along with an SCT Tuner, BAMA Tune and FlowMaster Exhaust. 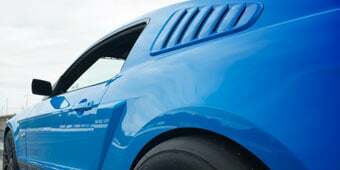 And though I absolutely love the result, the 2013 Mustang GT has open hood vents right over the intake filter. This can easily allow in rain water. The paperwork notes, large amounts of water are not good in the intake. 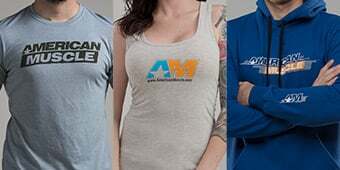 I contacted American Muscle, and the Friendly Agent I spoke with said they have never had a problem with this, and have sold many of these units for my car year. This has never appeared to be an issue in their experience. However I was still concerned, so I contacted AirRaid Directly, and they shipped out a free Splash Guard piece, at no cost to me, to address this concern. Please note, I have not had a problem with this, and maybe I never will. But I certainly do have much more Piece of Mind, and thanks to Air Raid for coming through. Also Thanks to AM, for taking my call, and helping out. 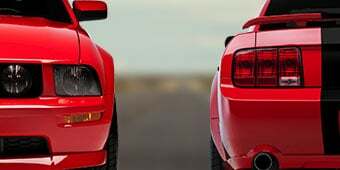 Just wanted to add this note, for others with the same Mustang year Install was fairly straight forward, and easy enough, and results were terrific! The product is very simple and easy to use. Liked how easy it was to upload. Huge difference from Stock. only other mod is cold air intake. both 87 and 91 octane tunes really add some punch to low, mid and top end. Very easy to use. Wish I got this tuner sooner. Take off is so much powerful. Fit is pretty good. I'm not sure the plenum is fully seated but it is seated enough to not come off. I have a couple gripes about this product. The sound tube delete should be integrated for a smoother look; however I appreciate that they provided the hardware to delete it. I can't imagine why anyone would purchase a "race" series CAI and need to keep the sound tube. Also, I wish it was sold as manual and automatic specific, again for a smoother look in my manual. Still, a good product. I don't have a dynosheet but with a tune and this intake I feel a very noticeable increase in power and throttle response. Intake noises are cool I guess.